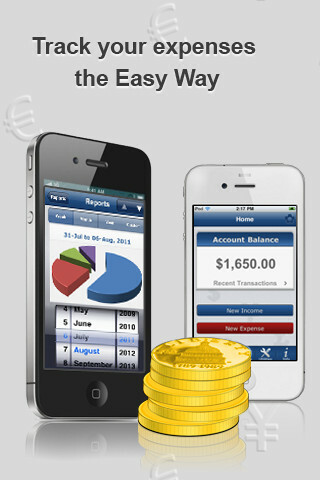 Developer Quote: "Easy Spending - Expense Tracker is the most EASY to use expense tracker ever on an iPhone. It comes with a beautiful and clutter free user interface." With smart tools to help you watch your purchases and upcoming bills, keep a history of several accounts, search for a particular item, including recurring items and more, you will definitely get a handle on your spending habits. Easy Spending Expense Tracker is a personal finance app where you can log multiple expenses in order to better track them. 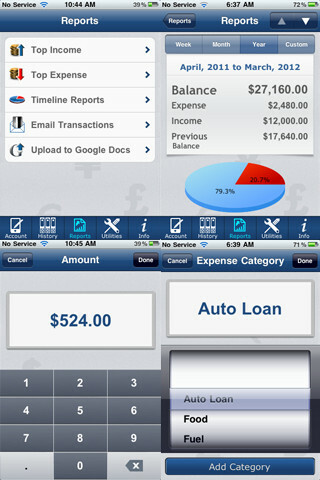 Use the Expense Tracking tool to be a friendly monitor of your expenses! Throw in some must-have items such as a clean and neat interface with which to work along with a simple to use design, and you've got yourself well under way to a more palatable budget! COOL CONCLUSION: "Easy Spending Expense Tracker provides necessary budgeting tools in a neat, uncluttered interface with many easy to apply, useful options." --Developer: Tekton Technologies (P) Ltd.